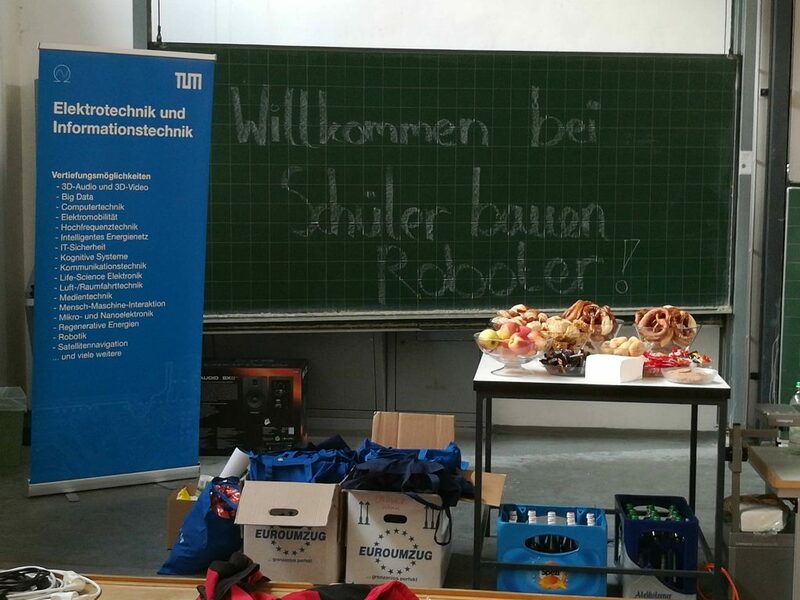 On Thursday, November 22, the kick-off for the Schüler bauen Roboter-competition at the TU Munich took place. Our school participates in the event among 10 other groups from various schools in Bavaria. The task for this year is building a robot to have robot-sumo matches where two robots try to push each other out of a circle. The conditions for the robot are that it has to be autonomous, it should be able to identify the drawing of the line which marks the end of the circle in which the match will be carried out and it should also be able to notice the opposing robot so that the duel itself can take place. It should also have a design connecting to the appearance of the team for which we are already searching ideas. In addition to the sumobot and the match, every team must present their progress of building and composing everything around the bot two times. The first presentation will be in 2 months which should be about 4 minutes long, the second one on the day of the finale with a length of about 5 minutes. After we were given this information all groups where able to get a start with how Arduino works by getting an easy task and a description of how we get the Arduino to work as we want it to.